Ye Olde Green Wave Forum is a venue where members of the Tulane family can meet to discuss Tulane athletics and share our affinity for Tulane University. For close to 20 years, YOGWF provided the Tulane family a vehicle for Tulane discussion, debate, information, and entertainment. Visitors to this forum include a multitude of Tulane fans and alumni as members of YOGWF.com. However, most visitors are lurkers who read the forum but never post. Current players, recruits, potential students, and their respective parents, relatives and friends also read this forum, as well as opposing and rival fans, coaches and especially members of the media. The posts on YOGWF are a representation of Tulane Athletics and University to all who read the forum. Including students and student-athletes making decisions about joining the Tulane family. YOGWF is a Tulane forum. Flaming is not allowed. Additionally, YOGWF discourages the flaming of any Internet forum. Tulane supporter's activity on the forum must be conducted in a way that reflects the dignity of our University. Discussion and discourse on YOGWF must maximize the forum's benefit to its intended constituencies. Accordingly, the following rules are established as a guideline to posters and administrators alike. Posts exceeding the guidelines will be edited or deleted. Continued purposeful breaches of the rules can subject the poster a cooling off period away from YOGWF to learn and respect the Rules of YOGWF.com. 1. Use of profanity or posting obscene content, or links to such, are not allowed. 2. Post the truth. If you are unsure, do not post it. 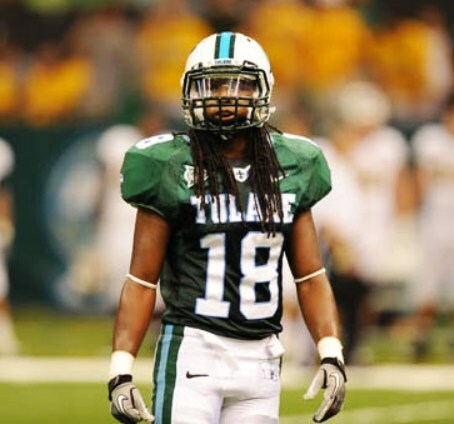 Personal insults of Tulane players, coaches, administrators or fellow posters are not allowed. Members of YOGWF can post their thoughts and opinions without resorting to the lowest form of expression. Do not call for the firing of a coach during their season. A head coach should be judged on their body of work, which is an entire season. Do not post rumors on player injuries or contribute rumors concerning anything to do with information inflammatory or harmful to Tulane University or Tulane Athletics (See above concerning posting the truth). (These are common sense rules to avoid potential harm to our athletic programs). 3. Attempting to register or posting under different monikers is not allowed. 4. Posts that attempt to make commercial use or other unauthorized use of YOGWF.com including, but not limited to linking or quoting other internet forums, blogs or other websites for promotional, marketing or other reasons must be approved by JtS at bento153-joseki@yahoo.com prior to posting (This is common Internet etiquette). Spam will be deleted and posters banned. 5. Posts of a religious or political nature or any post that infers or implies a religious or political agenda, will be deleted, no matter how well intended. Politics and religion have no place on a University/Athletics forum. Unfortunately, these subjects always conclude with provocative and divisive results and are outside the purpose of this forum. Expressions of sympathy or asking for the forum's thoughts for the injured, sick or those who have passed away are exempt from this rule. 7. Any actions or activity by YOGWF's administrators or moderators (e.g. the editing of a rule-breaking post, the deletion of a rule-breaking post or locking of a thread) including ANY posting or discussion of ANY moderation activity will not be discussed on the main forums. This is non-negotiable, and such a post will be deleted. The subsequent breaking of this rule will result in a vacation from YOGWF.com. Any questions, comments or complaints can use the "Complaints/Suggestions" Forum. State your "Complaint/Suggestion" in the forum and an answer will be forthcoming. The "Complaints/Suggestions" Forum is not a debate forum, a forum for public discourse about past alleged wrongs or a place to support your friend or best friend poster. Nor is it a forum to air your alleged personal grievances or practice your real or imagined legal skills. The protocol is simple - post your complaint or suggestion and wait for an answer. If you have a more serious matter, inquiry, complaint or question, please send an email to JtS at bento153-joseki@yahoo.com. Put YOGWF in the subject line. Your email will be answered. 8. Regulation of the activity of this board is not strictly limited to these guidelines. The "spirit of the rules" will be enforced as judged by the forum administrators and moderators. We use our judgment in regulating board activity with administrators and the moderators being the ultimate arbiter. Posts deemed breaking the YOGWF rules will be edited and deleted. Continued violators will be warned via PM. If the issues continue, subsequent vacations or dismissal from YOGWF will be used as a final result. Moreover, if admin or moderator is in error, a rule is deemed unnecessary or a change needs to be made, we are open to the honesty and improvement of the forum. As a framework for discussion and debate, the following guidelines are urged and strongly suggested for civil and productive discourse concerning Tulane University and Athletics. A. If you have a problem, issue or concern about Tulane athletics or the University be 100% positive your problem, issue or concern is based on the truth. Unfortunately, as is proven time after time, much of the local media, the regional and national media, blogs, chats, tweets, comments, discussions in bars, dreams and even Tulane forums are not 100% reliable sources for the truth. Secondarily, opinions are not facts. An opinion does not equal the truth. Some opinions are closer to guesses. Guesses are speculation and conjecture. Everyone on YOGWF has an opinion. However, if you are going to post, discuss or debate any issue, base it on facts, logic and the truth. Once you post your opinion, it is unnecessary to repost or repeat it numerous times. B. For every problem, issue, concern you post, have a reasonable, workable solution. Example: Fire the coaches, athletics staff and administrative staff and hire Sean Payton is not realistic. Post your thoughts, ideas and solutions within the realm of reality and saneness. C. Posting the drive-by post, e.g., "Fire the Coach!" or "I am not attending Tulane games anymore" or "Last year was my last donation to TAF ever" serves no purpose on YOGWF. There are other places on the Internet for this type of post. YOGWF is not the place as there are ramifications well beyond just the members of YOGWF. Additionally, for every poster, there can be 100 to 1000 lurkers at any given time. If you decide to stop supporting Tulane Athletics, those actions should be discussed with the proper officials at the Athletic Department. There is the opportunity to get your voice heard and your point across. D. Do not under any circumstances personally attack Tulane student-athletes (this includes verbal and signed recruiting commitments). YOUR POST WILL BE DELETED, AND YOU WILL TAKE A LONG LEAVE FROM YOGWF. We all want the same thing - consistent winning and a team we can be proud of in all matters.